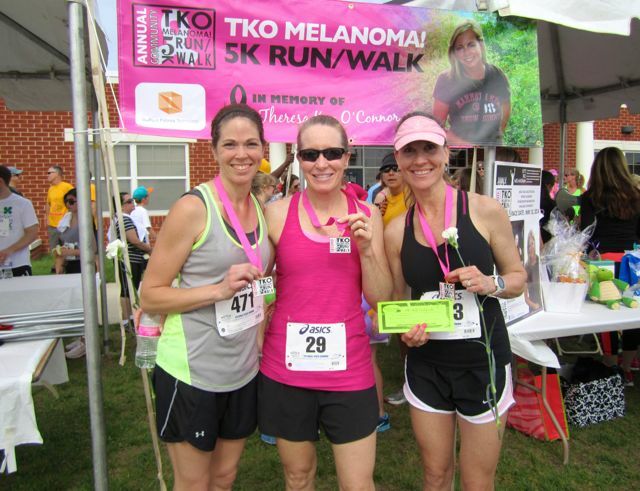 Today I am welcoming my friend, fellow fitness professional, and fellow MRTT runner, Beth, as a guest writer on Deb Runs. She’s going to tell us about her recent focus on clean eating, and how much better she is feeling these days. 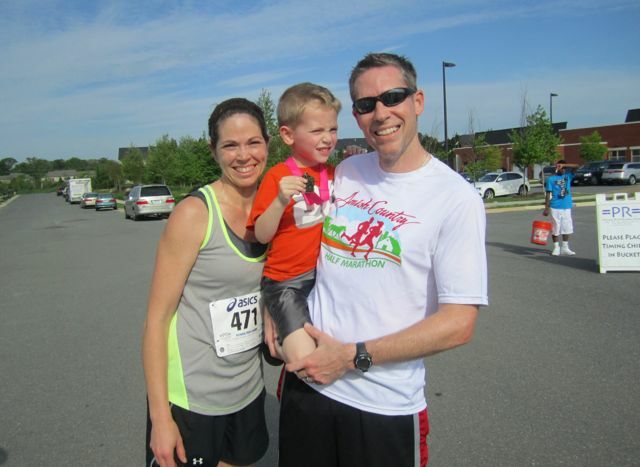 Both Beth and her husband TJ are amazing athletes and runners – often winning either their age group or placing first or second overall. Both feel better with their lifestyle change, and look forward to how better eating will continue to help their race performances this racing season. As you can tell with both Beth and TJ, weight loss wasn’t a concern, although losing a few pesky winter pounds was a nice side effect. Next week I will be joining Beth on her clean eating challenge, in other words, I’ll be shopping the outer perimeter of the grocery store, skipping the tempting packaged meals, and avoiding the ever tempting diet sodas. Hopefully the snow on our deck will be melted by Monday, and we will be able to get to our grill to prepare freshly grilled veggies, fish, seafood, and lean cuts of meat. So without further ado, I would like to welcome Beth to tell you her story about switching over to clean eating….. In January 2015, following a typical holiday season full of delicious treats, abundant alcohol, and lack of activity, I decided to make a change. I felt bloated and uncomfortable in my own skin. I have lots of fitness goals for this year, and I knew I needed better eating habits to help me reach those goals. I received my clean eating welcome email which included recipes, a meal plan, and a grocery shopping list. As I read over it, I was happy to see MANY slow cooker recipes. I love using my Crock-Pot and for a busy mom, this was perfect. I went shopping at Wegman’s, prepped for the week, and was all set for 5 days of clean eating. Monday morning, I woke up and made my super healthy breakfast, which consisted of a combination of an egg and a couple of egg whites scrambled together with fresh spinach, slow cooker pumpkin oatmeal, and a cup of coffee. As I was posting my breakfast picture on the Facebook group page to show off my culinary skills, I read that we were to give up coffee for the week. What? Give up coffee? Hmmm….. Good thing I drink half caffeinated coffee so I didn’t feel too badly for cheating and gave myself a 4 out of 5 for the day. So what can you drink during the challenge? Water, fruit flavored water (with real fruit mind you), and green tea. Take your weight, divide it by 2, and that’s how many ounces of water you are to consume each day. I thought this was going to be the easy part, but I quickly realized I was not consuming enough water. I took a water bottle and filled it up using a measuring cup so I knew how many ounces it held. I needed three of those water bottles to meet my minimum water requirements. Two months later, I still carry around that water bottle. I continued to stay on track for the rest of the 5 day challenge and in the end, lost 3.5 pounds and felt amazing. I had better sleep, more energy, and I no longer felt bloated. Although the challenge ended, I wanted clean eating to be the way I ate for the rest of my life. I went to the library and got books on clean eating, searched recipes online, but the term “clean eating” still didn’t seem clear to me. I talked with my friend Jacqui and she put it to me simply. To paraphrase, clean eating focuses on fresh, whole foods – it’s as simple as that. Foods with labels should have 5 or fewer ingredients on the label… and you should be able to pronounce those ingredients. Have you ever looked on the back of a label and thought, “I have no idea what this stuff is and I certainly cannot pronounce it!” It seems crazy to me that for years I bought food that I thought was healthy even though I had no clue how to read the label. My refrigerator now is packed full of fresh fruits and vegetables, hummus, and lean meats. Decaf hot green tea has become a night time ritual in our house. My husband has joined me on this journey, and luckily I have a 15 year old that’s willing to try anything. My 4 year-old is a different story, but he is getting better. Look at labels. If there are more than 5 ingredients and/or you cannot pronounce them, skip it. Research recipes and plan ahead. You want to be prepared so you’re not tempted by junk food. Balance protein, fruits, vegetables, whole grains, and healthy fats. I have since joined Jacqui’s team as a health coach through Beachbody, and now it’s my goal to help others. I am so excited that I had two friends complete a 5 day clean eating challenge. Both ladies reported losing weight, feeling better, and decided to continue their journey. The second group I’m co-hosting with Jacqui started today with 14 members – including my mom!. Are you ready to make a change in your eating habits? Give me 5 days, and join us for the next challenge group starting Monday, March 16. To get started, you can connect with me on Facebook (add me as a friend), and I will add you to our Five Day Clean Eating Challenge group. For more information about my Team Beachbody business, you can go to my website by clicking on the blue link. Have you tried a clean eating challenge? Do you prepare mostly fresh foods, or do you take shortcuts by preparing foods from a box or bag? I’ve been attempting to eat clean for the past year and it does really help me feel better and less bloated. I love cooking and it’s fun to come up with new ideas. Good luck with your clean eating you will love it. I know I’ll love it, and feel so much better! During the summer, other than my cereal for breakfast, I eat pretty clean. During the winter, not so much….. I eat on the run so often, with work and soccer. It feels impossible to do this. But you know what? I’ll give it a shot. Good for you! Let me know how you feel after you give it a try. I try to eat clean as best as I can, but sometimes when life gets a little crazy I know I make choices that aren’t nearly as healthy. I could definitely commit to something that is only 5 days though! So many of these challenges are for an entire month and I feel like I would be a total failure at that! Great post! Salt recently posted…Surf’s up and spin class in furry boots at Beachfit Baltimore! Thanks! I’m sure I can hang for five days. I’m most concerned about my cereal for breakfast. It’s quick and easy, and I love it! AND it’s got ten ingredients, double the recommended five max.